The RISE Summit 2016 (hyperlink to RISE Summit web), is an open platform for different stakeholders involved in social and environmental development through diversity, inclusion and sustainability initiatives. This year, the event will take place Sept 22-25 in Mumbai. During the event, the Swedish Institute Alumni Program with focus on Sustainability & Social Immersion (SSIP) is hosting a round-table discussion to which they cordially invite Swedish companies to join. 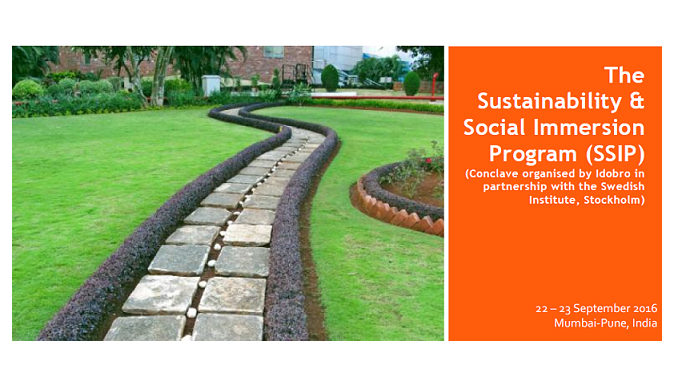 The focus is on collaborative actions in the CSR space. Register here for the round-table and log on to www.risesummit.in to register for the full event. Limited seats available.